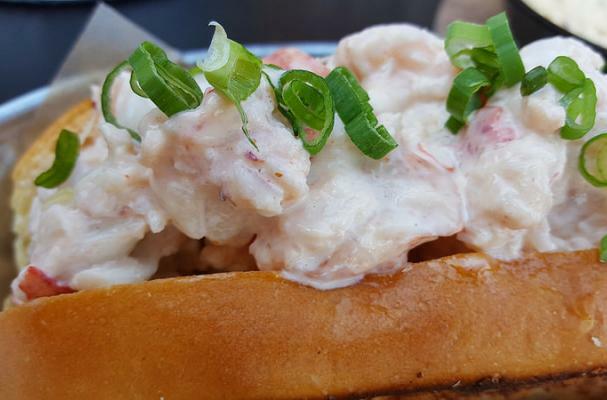 I rarely need an excuse to indulge in a lobster roll and this Super Bowl weekend is no exception! This tasty recipe features a flavorful combination of lobster meat and mayo along with a winning mixture of fresh herbs like parsley and tarragon, sweet and tender celery, briny capers, zesty lemon juice, and of course, the classic Old Bay Seasoning. Keep the roll full size if you're serving them as your main dish, or cut the rolls in half or in thirds for lobster sliders. Whichever way your load 'em up they're sure to score with your guests! Chop lobster meat into bite size pieces and add to a bowl. Mix mayo, lemon juice, celery, herbs, capers, and seasonings; add to lobster and mix well. Chill the lobster salad in the refrigerator for at least 15 minutes to marinate. While lobster salad is resting, brush the four rolls with butter and toast slit side down in a pan until light golden brown. Fill toasted rolls with roughly one cup of the salad mixture and garnish with a light sprinkle of Old Bay. Served best with some fresh kettle chips.